Feeling overwhelmed by the recent social media updates? Worried you might have missed hearing about a new feature? We’ve got you covered! Have you noticed your Instagram photos popping up on Facebook lately? The social platform is now giving users the opportunity to share their published Instagram content to Facebook while using Facebook. That means if you forgot to toggle "share on facebook" when you posted your latest Insta pic, you can do it from within Facebook. Mimicking the feature already available in Instagram Stories, Facebook now has poll stickers in Messenger Stories. Take a photo in the Messenger camera, then add a poll sticker from the stickers listing. You'll then have the option to add your question and answer options, and you can place the poll sticker anywhere on your image. 3D photos will live in your news feed just like any other photos, except one important difference: when you scroll by them, touch or click them, or tilt your phone, they'll respond as if the photo is a window into a tiny diorama, with corresponding changes in perspective. It will work for pictures of people, pets, landscapes and panoramas. Check out how it looks here! 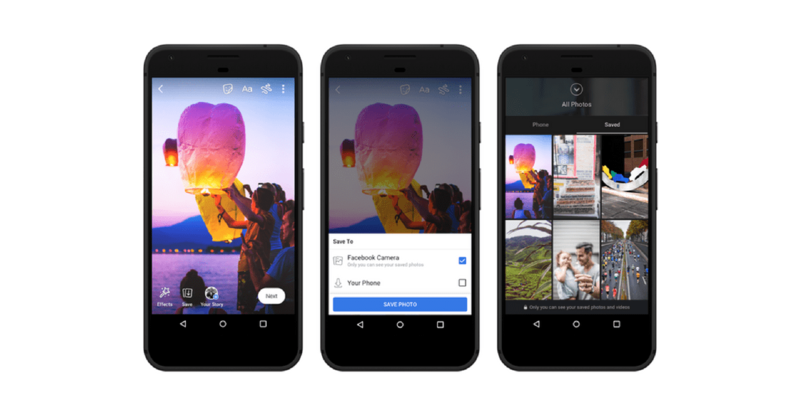 Facebook has rolled out 3 new Stories features in India that will be making their debut in the United States soon. You will have options to add a voice message to a colorful background or a photo from your camera gallery or saved gallery. You can also add stickers, text, or doodles. Automatically save your Stories after they expire so you can look back at them or re-share the content to the News Feed. Creates a private tab in the Stories creation interface where you can access and post the imagery you’ve stored. There will also be a Saved tab in your profile’s Photos section. This will help if you're lacking phone storage space. Instagram prepping for a major platform update on June 20th. The Wall Street Journal predicts that the social network is planning to move from allowing 60 second videos to 60 minute videos. We'll update you if this launch occurs! Insta users can now re-share stories they’re tagged in. When someone mentions you in their story, you will receive a notification in your Direct message thread shared with that person. Here you will now see an option to add that content to your own story. Tap it to see the story as a sticker. You can scale, rotate, position it and use the creative tools to add text or stickers to it. 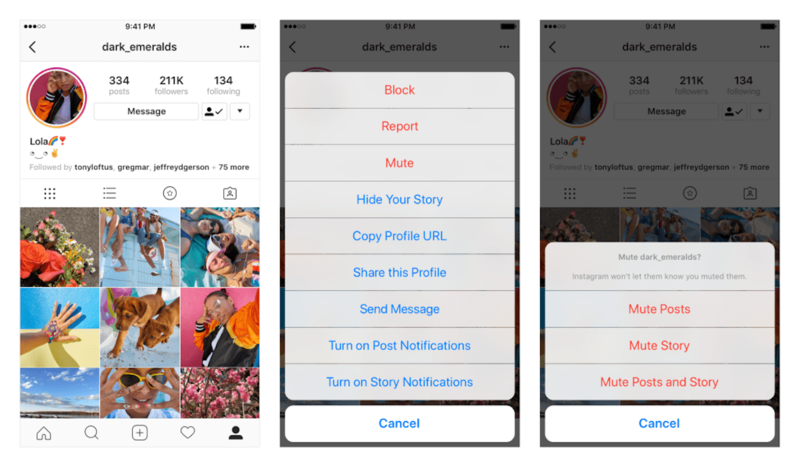 When your followers see your story, the username of the original person who published the story will appear and be tappable, so your followers can explore your friend’s profile too. Only public accounts can have their stories shared. Want to stay connected with someone but stop seeing their posts in your feed? With the new mute function you can! 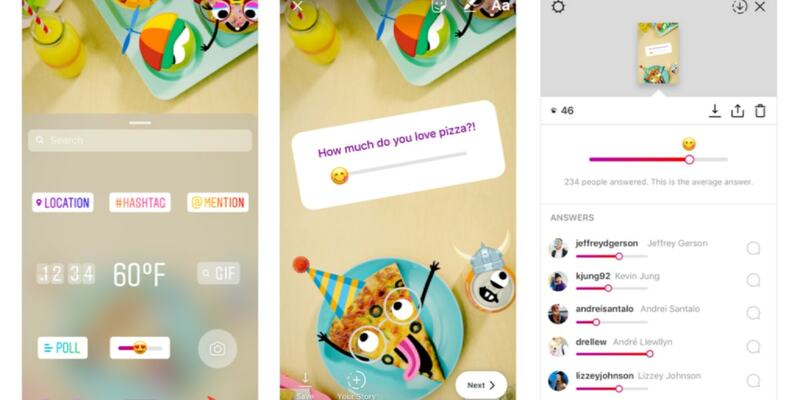 One of Instagram’s newest Stories feature, the emoji slider, allows you to ask more nuanced questions when you want to find out how your audience feel about something — like how “hot” an artist’s new single is or how “spicy” they like their food. Looking for more ways to engage your audience with Instagram Stories? Check out our article "How Influencers Can Take Advantage of Instagram Stories"
Introducing the first lens that reacts to sounds! It has a cute animal mask overlay for your face, ears that pulse and glow and eyes that move based on the sounds it hears. As noted by Social Media Today, the new feature paves the way for more innovative uses "with Snapchat noting that they’re planning to roll out more Lenses of this type in the near future." Deleting sent messages and media in Snapchat will still notify the recipient or recipients that a sent message was removed — but not what was in it. The new, bigger Pinterest video ads take up around two-thirds of the screen, and align with the rising vertical video format. 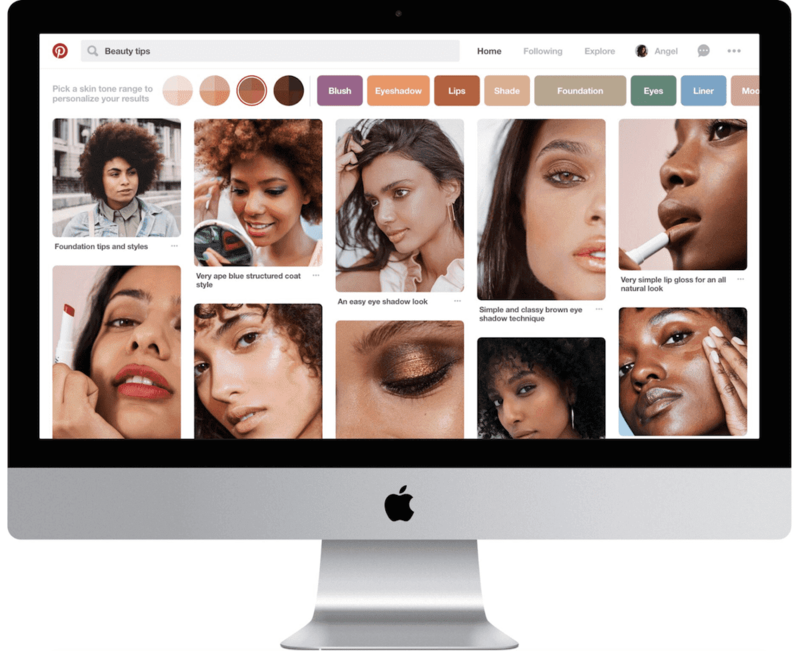 A new feature by Pinterest now let users filter hair and beauty search results by skin tone ranges. According to a survey conducted by the social media platform 70% use Pinterest to find and save everyday looks and styles. “Skin tones are just the start of building a more inclusive search. We hope to help Pinners find more personalized results by offering more ways to narrow your search,” Laksh Bhasin, a Pinterest engineer working on its search quality team stated in a Medium post. Timestamps lets anyone Tweet a live or replay video starting from the exact moment they want to discuss.